Near the Mt Baker Lodge and the ski resort, a road and walking path circles picturesque little Picture Lake. 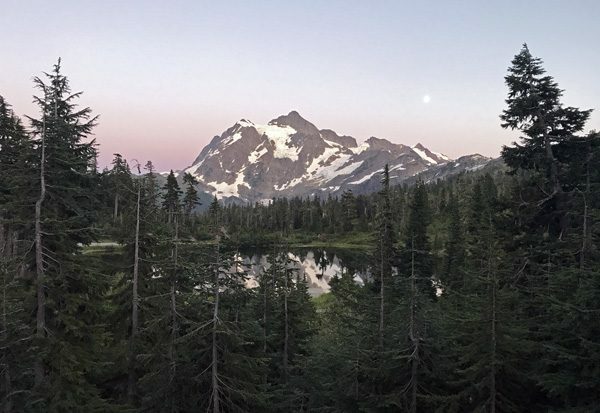 It is presumably named that due to its reflections of Mt Shuksan and surrounding forest. It can be visited by a short walk from your car, and by walking around its shores on a path.